The Shaker Village at Pleasant Hill, Ky. offers unlimited opportunities for the artist. I encountered this scene on a walk just after dawn. 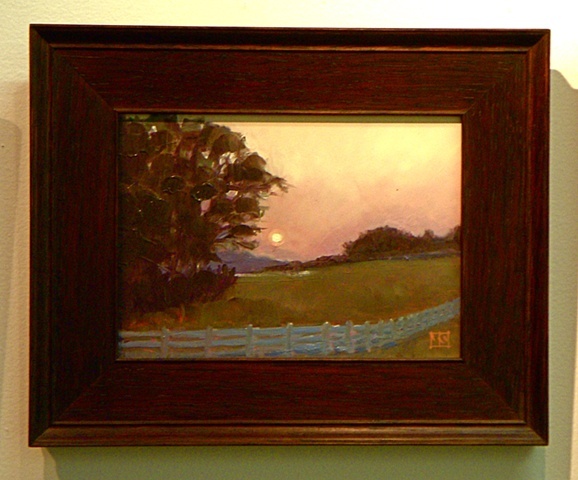 The painting is framed in 3" quartersawn oak.